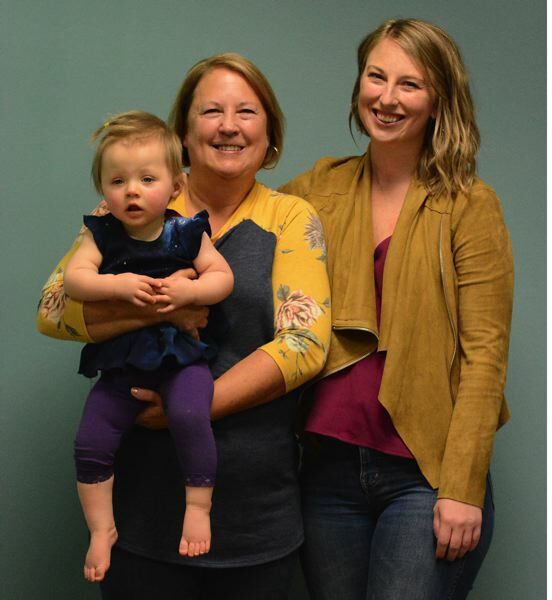 Reynolds High School is inducting five new members into its Sports Hall of Fame next Friday, among that group is the mother-daughter pairing of Debbie and Katie Swoboda, who made their mark largely on the volleyball court. Debbie took the helm of the volleyball program when Columbia and Reynolds merged in 1989 and spent the next 24 seasons on the Raiders sideline. She guided Reynolds to 13 playoff appearances and a pair of top-eight finishes. Reynolds' most successful teams relied heavily on defensive effort, diving around the court and refusing to let the ball touch down. No group epitomized that team concept better than the 2003 squad that was pushed the distance three times in the playoffs before falling to eventual-champion West Linn in the semifinals. The Raiders would go on to place fifth that season — their best finish during Debbie's tenure. Most of that team had played together since fifth grade. "It was a pretty special group of little midgets," Debbie said with a laugh. "They always played with no fear." "We didn't have anyone over 5-8 on that team. I loved that we were known as a defensive team. It was fun being the underdog," Katie said. "We grew really close, and I still talk with a lot of those past teammates." Katie went on to play at the University of Oregon where she continues to hold the school's all-time digs record (2,198). DARREN BRADY: The 1982 graduate finished second in the state Player of the Year voting for basketball his senior year before going on to play at Brown University where he co-captained the 1986 team to the Ivy League title and its first trip to the NCAA tournament. RICHARD FRANKLIN: The 1971 graduate won his weight division at the Wilco League championships as a junior and helped the Lancers to a third place finish at the state tournament. He went on to wrestle at Pacific University, claiming the NAIA national title at 142 pounds for the Boxers in the 1978 season. VALERIE FLETCHER: The 1999 graduate earned all-state soccer honors her senior season. She went on to play at the University of Portland highlighted by winning the national title in 2002.